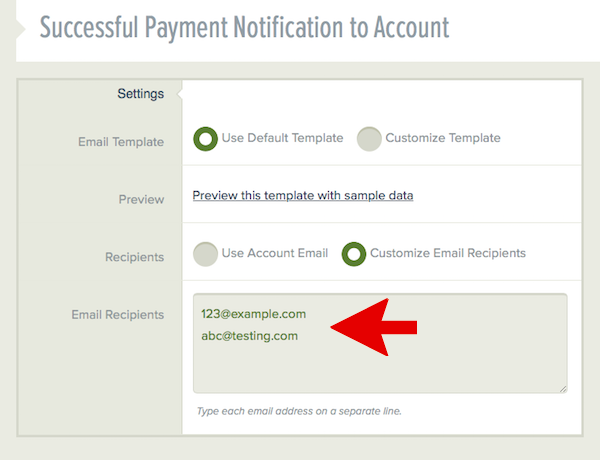 How do I send account notifications to additional or different email addresses other than my account email? 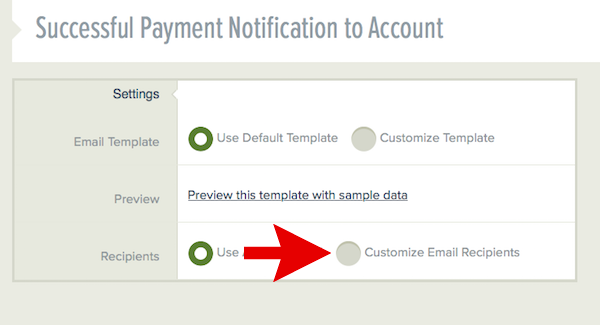 By default, if you have an email notification to your MoonClerk account enabled, we send the notification to your account email. But, you can also replace the email email address we send each account notification to or you can add additional email addresses. 3) Scroll to the “Sent to your MoonClerk account” section and select the email notification you’d like to have sent to a different or different email addresses. 5) Type in the additional or different email addresses you’d like to have this notification sent to.